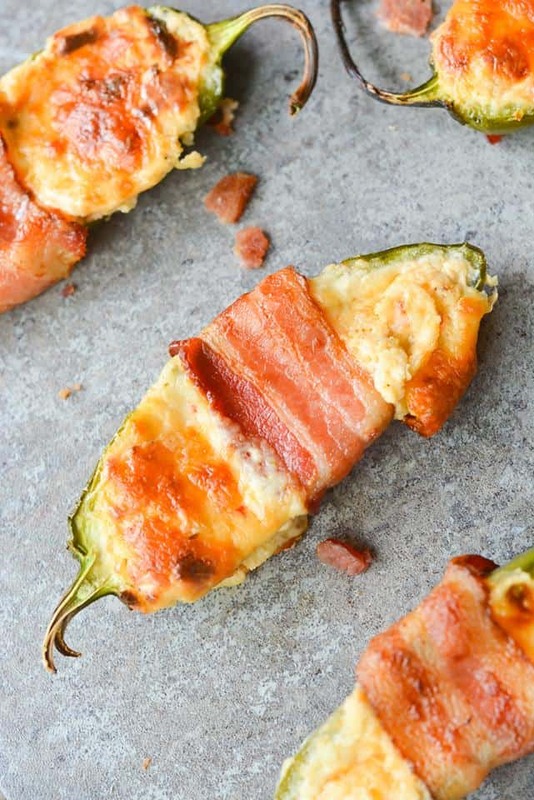 These Bacon Wrapped BBQ Jalapeno Poppers are an incredibly savory, flavorful low carb dish. Perfect to bring to any backyard BBQ, or to just enjoy at home! 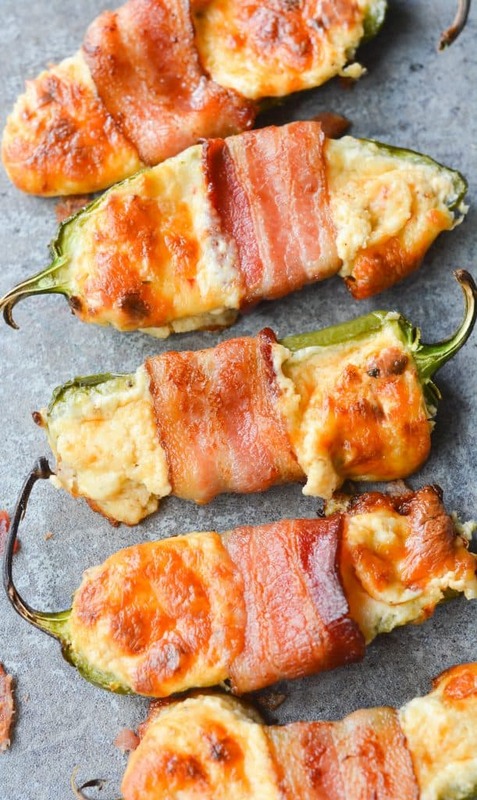 Everybody loves jalapeno poppers, right? Their cheesy, gooey, creamy goodness is something I could honestly enjoy every. single. day. 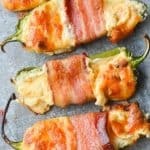 My favorite thing about them, besides the amazing flavor, is that they are excellent for Keto (Low Carb, High Fat) and so easy to make. 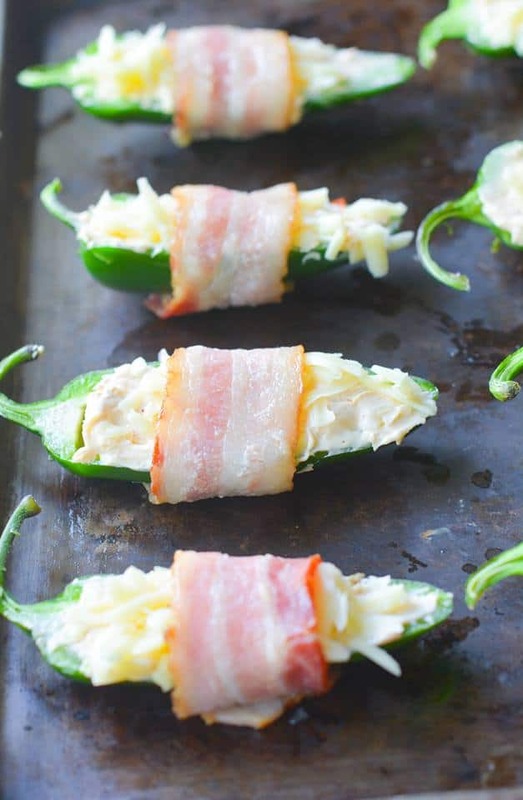 Typically, you just cut the jalapenos in half, fill them with cream cheese, pop them in the oven and call it a day… but I thought it would be fun to bring you all something a little bit different. BBQ is one of my favorite flavors. Always has been, always will be. But because so many BBQ sauces are loaded with sugar, it’s very hard to find one that could be considered Keto-Friendly. We all know that you want to consume as few carbs as possible for the best ketogenic effects…and you don’t really want to be getting those carbs from a sauce. My favorite sauce is G Hughes*, a sugar free sauce that comes in Hickory, Maple Brown, and Honey flavor. I’ve seen them in some grocery stores (and it took a lot of will power to not buy out the whole store when I first saw them) but you can also grab them on Amazon here*. Instead of brushing the finished product with BBQ sauce, like I’ve seen done before…I mixed the dry seasoning right into the cream cheese. How long are these good in the fridge for?